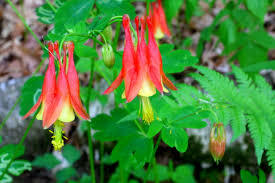 Drooping, yellow-red flowers attract hummingbirds. Great for areas with part shade. 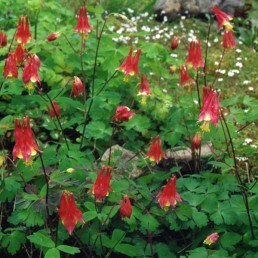 Wild columbine has very attractive yellow and red flowers that look like small lanterns. 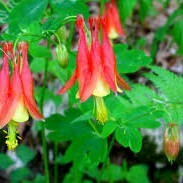 Foliage is delicate and airy. 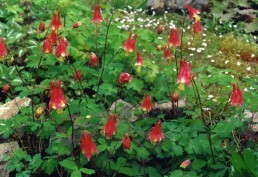 Wild columbine prefers rich, well-drained soil in light shade. 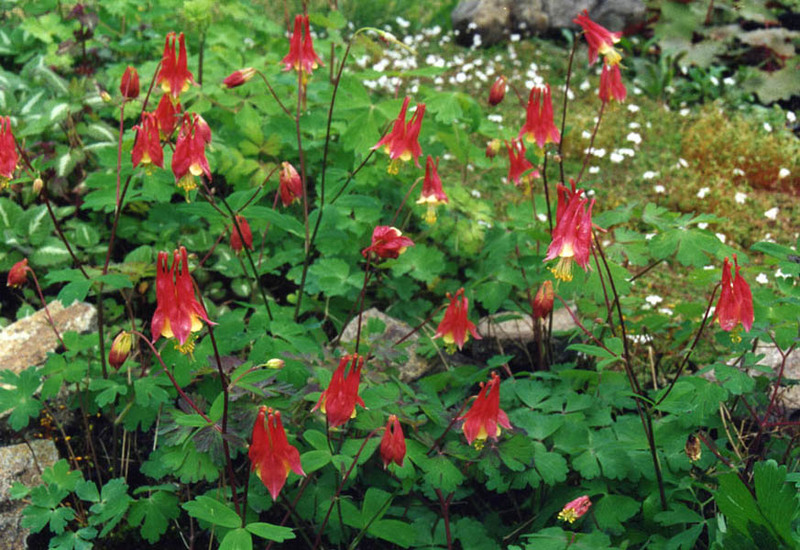 Though individual plants may be short-lived, plants will self-seed around when happy and create small colonies.